The resort hotels are tucked away in corners of Universal Orlando, carefully masked from the nearby streets, with grand entrance gates that have an air of exclusivity about them. That may be why many people mistakenly assume the resorts are closed to all but hotel guests. In fact, anyone can drop in for a visit and, if your vacation schedule affords the time, you should by all means come for a meal at one of the restaurants and a stroll through the very special grounds and public areas of the hotels. You can come by boat or on foot from the parks or you can drive in. If you drive, you can choose between valet and self parking. Non-guests must use the main entrances to the hotels since other entrances (like the pool areas) require a room key for access. All resort hotels have a “business center” for those who need to photocopy or fax something or use a computer. You can even find a notary should you need one. Most are conveniently located, although at the Royal Pacific Resort, the business center is a good hike away in the adjoining conference facility. The fees charged won’t surprise the average business traveler but might make others gasp. All of the hotels offer “character dining” experiences at their main restaurants — Trattoria del Porto at Portofino, The Kitchen at Hard Rock, and Islands Dining Room at Royal Pacific. During these events, costumed characters such as Scooby Doo, Woody Woodpecker, Spider-Man, Shrek and Fiona stroll the dining room, visiting with kids and posing for photos. Unlike character dining events at some theme parks, there is no separate charge for these events; if you are eating in the restaurant, you will be able to interact with the characters. Character dining takes place once or twice a week, typically between 6:30 and 9:00 p.m. If there is no character dining at your hotel during your stay, there most likely will be at another. You don’t even need to be staying at any of the hotels to have dinner during these fun events. Since schedules and participating characters change from time to time, the best strategy is to call the hotel before your arrival and ask about the character dining schedule during your visit. All of the hotels offer concierge service. The concierge desk staff is extremely knowledgeable, not just about all things Universal, but about Orlando in general. They can offer tips on what else to see in the area, give you the latest weather report, where to shop, and where to find a baby sitter or get the perfect birthday cake for your kid. You can even stop by the concierge desk for information about and tickets to most local attractions. 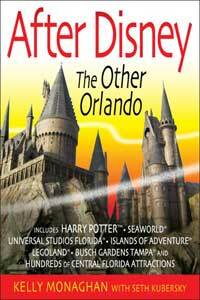 Although they stock plenty of brochures about Walt Disney World and can arrange transportation to get you there, Disney does not allow them to sell Disney tickets. Standard check-in time at all hotels is 4:00 p.m.; if you arrive early, the front desk will happily give you your hotel keycard and hold your baggage so you can go play in the parks. Check-out is at 11:00 a.m., and can be performed in person, "express," or via interactive television. All hotels offer a service aimed at the forgetful among us, so if you forgot your toothbrush or razor you can call Star Service (see below) for a complimentary replacement. No, not that kind. We mean medicine, the kind your doctor prescribes. The Loews resort hotels have partnered with a nearby pharmacy to provide 24-hour prescription service. For more information, call (407) 248-0437. The fax is (407) 248-2297. All the hotels have small, unattended video arcades that seem to attract the under-15 crowd. Typically the games, none of them terribly elaborate, run on tokens with a token vending machine that accepts $1, $5, and $10 bills. None of the resort hotels offers a golf course, but golfers needn’t despair. The “Golf Universal Orlando” program has partnered with three nearby courses (MetroWest, Mystic Dunes, and Orange County National) to make golfing easy for hotel guests. Perks include complimentary transportation and “special privileges.” Rates and availablility vary with the season. To make a reservation for a tee time, the best strategy is to call the golf concierge, headquartered at Royal Pacific Resort, prior to your arrival and let them do it. The direct line is (407) 503-3097, or 31097 inside the hotel. 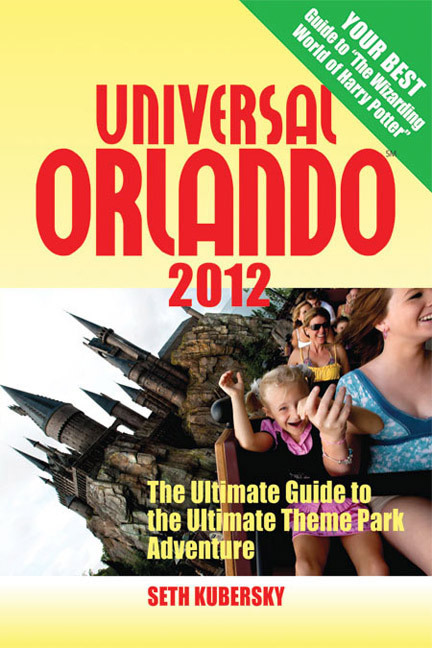 Or reserve online at www.universalorlando.com/golf. All hotels are “Green Lodging Certified,” having passed eco-muster with the Florida Department of Environmental Protection inspectors. You’ll find recycling bags in the rooms, and energy-saving compact fluorescent bulbs in the light sockets. Your bed will always have clean sheets upon check-in, but they’ll only be changed every three days (unless you request otherwise). You can reuse towels by putting them back on the rack; only towels left on the floor are washed. Guests in the hotels are encouraged to visit the other on-site properties and take advantage of their restaurants, amenities, and special events like Dive-In Movies (see below). Your concierge will make dining reservations. Your hotel key will not work in the gated areas of other hotels, so if you want to check out the pool at another property, show your key to an attendant who will grant you access. You can, however, use your hotel key to charge purchases at any other hotel. High-speed Internet access is available in all rooms of all hotels for a fee of $10 per day. Those staying on the Club level get their wireless access free, as do those who schlep their laptops to the lobby or other public space. Loews has a soft spot for kids. Kids under 18 stay free in a room with their parents and the hotels frequently run special promotions, such as one that offered special perks for kids with A’s on their report cards. Check when you make reservations to see if there are any special deals going on during your visit. When you check in, be sure to ask the desk clerk about Character Dining, special mealtime appearances by costumed characters from the Universal stable, and Character Wake-Up Calls, tape-recorded telephone messages for your kids. All of the hotels have special children’s playrooms with supervised activities (see below) as well as special “Kids’ Suites” designed to give families a little extra room. 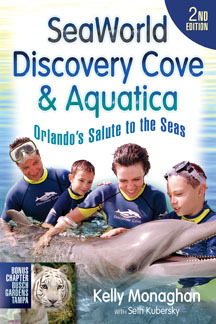 All the resort hotels have special supervised activities programs for children ages 4 to 14. These center around large, colorful playrooms filled with fun things to do, from computers with educational CD-ROMs, to computer games, to arts and crafts, to movies shown on large screen TVs. The programs also take advantage of the hotel grounds for outdoor fun and games when appropriate. These are typically evening programs, designed to let Mom and Dad go off to enjoy more adult nighttime entertainment knowing that their little darlings are being looked after and well entertained. So expect the programs to run from about 5:00 p.m. to 11:30 or so, a little later on weekends. During busier periods and school holidays, hours can expand. During slow periods, the program at one hotel might close altogether, but since a guest at one hotel can use the program at any other hotel, this should not pose a problem. Pricing varies from hotel to hotel and is subject to change without notice. $15 per hour per child and $15 for a meal is fairly common. If you think you might be interested in these programs, you will have to check with the hotel at check-in or shortly before arrival to ask about the current schedule and pricing arrangements. The concierge will be able to provide you with a flyer containing complete information on activities offered, hours, and pricing. In the sections on the individual hotels, we will provide information about locations and how to contact that hotel’s kids’ program. Private child care services provided by reputable outside agencies with licensed and bonded sitters can also be arranged. Ask your hotel concierge for assistance.